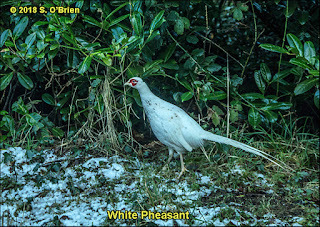 White Pheasant in the snow of February 6th. Taken from inside my car. Plenty of these white ones in this area. A Robin in February . . . The February 28th Snow, 2018. The Photoshopped Bus, as some thought!! !